© Kinematic Motion Pictures, Greece 2013-2019, All Rights Reserved. The quicksilver seductiveness of youth drives a doctor to distraction in this deliberately discomforting drama. 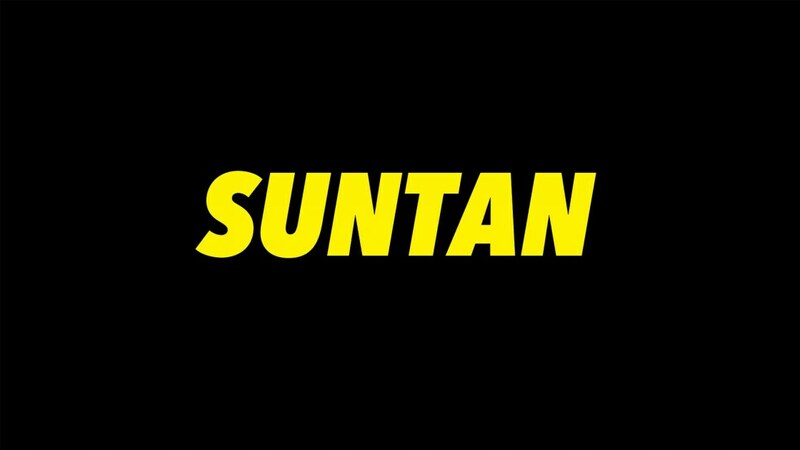 Most everyone over 35 will feel distinctly uncomfortable watching “Suntan,” a cautionary reminder to viewers that once youth is over, it’s over for good. Set on a small Greek island where a doctor becomes obsessed with a nubile young woman, the pic does a disturbing job of contrasting fresh, uninhibited flesh with skin that’s been, well, lived in; it’s an unflinching depiction of one man’s descent into an embarrassing vortex of desire, paired with a spectacular lack of self-awareness. Helmer Argyris Papadimitropoulos scores a bull’s-eye, in all senses, making “Suntan” a festival must-have, with certain Eurozone play if not beyond. The tagline alone — “a coming-of-middle-age film” — will have people squirming: Wasn’t 50 supposed to be the new 30? Or 35? Can we settle on 40? At 42, Dr. Kostis (Makis Papadimitriou, “Chevalier”) is an overweight, pasty sad-sack who seems to have missed multiple boats in life. He’s single and not exactly high on the ladder of success when he disembarks from a ferry on the Cycladic Greek island of Antiparos, where he’s taking up residence as the new doctor. With a winter population of 800, there’s not much for him to do, yet he seems content to keep to himself, quietly nursing some unexplained emotional wounds. Then summer comes with a vengeance, bringing with it hordes of agile, spontaneous vacationers. One day his clinic is invaded by the slightly injured Anna (Elli Tringou), 21, and her four exuberant friends (Milou Van Groessen, Dimi Hart, Hara Kotsali and Marcus Collen). Kostis is immediately intoxicated with the heady sexual force of this blonde free spirit, so he hits the beach after office hours, where he finds Anna naked and reveling with her largely bare cohorts. Papadimitropoulos is unsparing in the way he contrasts all that firm, smooth, golden flesh with Kostis’ paunchy, pale, hairy skin. Later that night the doctor searches for Anna at the local watering hole, inserting himself into her group, who just about tolerate his presence since he buys the drinks. For Anna and friends, the nights are a maelstrom of pansexual hedonism: They’re so drunk on their beauty and energy that they’re oblivious to its destructive force for anyone outside their blessed circle. A chance encounter with Orestis (Syllas Tzoumerkas, who co-scripted the film), a successful medical-school colleague, reinforces Kostis’ sense of stalled promise. This feeling of inadequacy makes him even more intent on compensating for his failures by establishing a relationship with Anna, yet he’s blind to how large a chasm separates them. Plenty of summer-resort pics feature scantily clad or naked partyers, but it’s hard to think of another movie that uses these figures as much for their energy as for their beauty: “Suntan” captures their explosive aura of youth with breathtaking, at times painful potency. Its quicksilver seductiveness captivates because it’s so fleeting, and Papadimitropoulos (“Wasted Youth”) is scathing in how he treats those unable to accept that they’ve timed out — not just Kostis, who at least is viewed with an ounce (though no more) of sympathy, but anyone else in camera range who dares to challenge age’s inexorable designs by dressing or acting younger than their sagging flesh dictates. Everyone else will likely be uneasily seduced, drawn like Kostis to the women’s youthful vitality, yet also repulsed by their spoiled, selfish behavior. Tringou’s astonishing sexuality burns up the screen, a Lorelei of unbridled vigor, unaware of how deep an effect she has on anyone no longer drinking from the fountain of youth. For the sad-eyed Papadimitriou, a staple of Greek film and TV, this is his international breakout role, and he bravely reveals himself in the camera’s unflattering comparative gaze. Right from the superbly framed opening scene of Kostis on the ferry, the visuals satisfy with their unerring sense of composition. Christos Karamanis’ lensing captures the Greek summer sun with its bright blue, enhancing warm tones and making pale colors even more wan. About the only misstep is a hackneyed montage in which Kostis joins Anna and her cohorts on a bike ride, accompanied by an indie song on the soundtrack. Reviewed at Rotterdam Film Festival (Voices), Jan. 30, 2016. (Also in SXSW Film Festival — Narrative Spotlight.) Running time: 105 MIN. (Greece) A Marni Films, Oxymoron Films, Faliro House, FassB Films, Foss Prods., Graal, Nova production. (International sales: Visit Films, New York.) Produced by Phaedra Vokali, Argyris Papadimitropoulos. Executiveproducer, Christos V. Konstantakopoulos. Co-producers, Ernst Fassbender, Theodora Valenti, Konstantina Stavrianou, Petros Pappas, Stelios Kotionis, Lasse Scharpen. Directed by Argyris Papadimitropoulos. Screenplay, Papadimitropoulos, Syllas Tzoumerkas. Camera (color, widescreen), Christos Karamanis; editor, Napoleon Stratogiannakis; production designer, Aliki Kouvaka; costume designer, Marli Aliferi; sound, Leandros Ntounis; associate producers, Ernst Fassbender, Theodora Valenti. class="post-template-default single single-post postid-706 single-format-standard samba_theme samba_left_nav samba_left_align samba_responsive wpb-js-composer js-comp-ver-5.7 vc_responsive"